Canada will have a unilingual Anglophone auditor general, Conservative MPs decided Thursday. 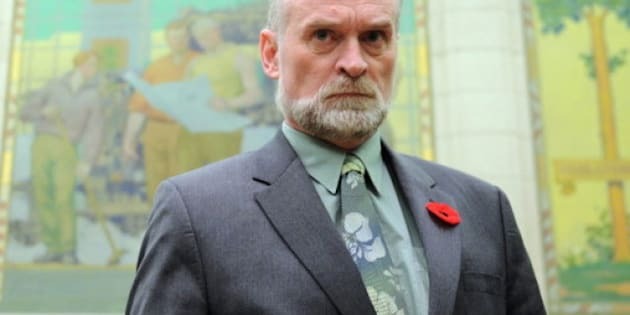 Despite a Liberal boycott of the vote to appoint former New Brunswick AG Michael Ferguson to a 10 year term as Canada's next auditor general, the vote passed the Commons 153 to 94 against. The NDP, Bloc Quebecois and Green Party were also opposed to Ferguson's nomination. Liberal Interim Leader Bob Rae urged Prime Minister Stephen Harper in a letter released Thursday to scrap the vote and begin a new search for an auditor general fluent in both official languages. He told reporters outside the House of Commons, as MPs were gathering to vote on Ferguson's appointment, that the federal government had not followed its own rules. "The role of the AG is not to simply sit in a back room with a calculator. The Auditor General must be a communicator. When you can only communicate in one official language, you alienate those who speak the other," Rae said, in a press release. He said because the selection process was flawed the entire Liberal caucus would boycott the vote. The Liberals no-show surprised some MPs in the Commons. Vancouver--Kingsway NDP MP Don Davies tweeted his shock that the Liberals were absent. "I mean NONE of them showed up to vote!!! But as Green Party Leader Elizabeth May pointed out on Twitter: "The result of this vote was a forgone conclusion, even with the Liberals." The Senate is expected to vote on Ferguson's appointment Thursday afternoon. The Conservative majorities ensure he will be successfully endorsed by both houses of Parliament.